Giants like Google and Facebook thrive on personal data. In exchange for a list of your likes and topics you search for, they can offer a smarter and more personalized experience. It’s better to build — rather than rebuild — customer trust. And when it comes to data collection, startups that are still developing their standards and practices may have the best shot at building strong customer relations, rooted in trust and security. Take companies like DuckDuckGo. Launched in 2008, the search engine alternative stands on a unique principle: What’s good for Google may not be what’s good for everyone else. 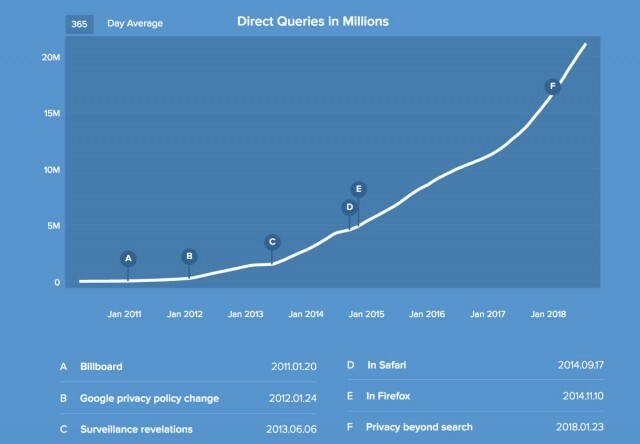 So its founder built a business on the idea that search engines shouldn’t track user search history — and it’s survived to tell the tale. DuckDuckGo now processes more than 20 million queries a day, and while that’s only a fraction of the 3.5 billion searches Google gets, DuckDuckGos’ growing adoption is hard to ignore. Lavabit launched in 2004 as a competitor to Gmail. “At the time, Lavabit’s founder, Ladar Levison, felt the idea of a large storage quota was great, but that Google was violating the privacy of its users,” the company explained. Nine years later, when the FBI was after Edward Snowden’s account and pressured Lavabit for its encryption keys, the company opted to shut down entirely, rather than risk compromising its other users. The service relaunched in 2017. Digi.me is helping users take control of their personal data. The service helps you collect your own digital information — like accounts, images and more — and store them securely in an online library. The app will also let you share that data with businesses, but only if you choose to.